When was the last time you went visiting to a friend’s home and declared to them “I love what you’ve done with the place?” Aren’t you really saying “Gee, I wish my house looked this clean?” Perhaps in this instance a little envy could be the perfect motivator to help you finally tackle that big decluttering job you’ve been meaning to get around to in your own home. Even if you have good intentions of planning a housecleaning project on a Monday by the time Saturday rolls around you’re probably too exhausted to even think about sorting through all that junk in your closets, garages or attic. That’s why you need to have an additional motivator: schedule an appointment with Junk King Alameda. Junk King Alameda is an East Bay company specializing in the removal of all kinds of bulky junk items from your home or office. It’s a simple concept; they have a team of professional movers equipped with a large truck capable of hauling off all your junk. You don’t have to worry about whether or not your junk is going to be recycled or dumped in a landfill. The Junk King is completely eco-friendly. They make it a priority to recycle as much of what they collect as possible. Let them worry about that. What you need to focus on is sorting through your junk. The moment you set the appointment the clock is ticking. If there is a room in your home like the garage or attic that has become the primary clutter zone then you should begin the sorting process methodically. Start in one corner and make your way around the room clockwise. Any item, no matter what size, that you want to have Junk King take away: slap a Post-it note on it. Once you identified all those items then you’re ready to move onto the next room. It’s conceivable that with the Post-it note method you don’t really have to lift a finger. This decluttering effort should also pertain to those areas which might be deemed “out of sight and out of mind.” That would be places like a closet, under bed or in cabinets. Here again you only have to worry about picking which items you want hauled away. After the Junk King team has removed all your clutter you need to really readjust your attitude when it comes to bringing things into the home. Just imagine your front door is a kind of metal detector that will sound alarms every time you bring something into your house that should be thrown away. Of course, if you like collecting junk there is nothing wrong with scheduling an annual appointment with Junk King Alameda! This entry was posted in Alameda Hauling, Berkeley Hauling, Clear Clutter Oakland, Get Rid of Old Appliances, Junk King Alameda, oakland junk removal and tagged Alameda Junk Hauling, declutter, East Bay Junk Removal, Junk King Alameda, oakland hauling service on January 31, 2012 by Junk King. Last updated August 4, 2017 . Have you heard of the National Study Group on Chronic Disorganization or NSGCD? These are the folks who are the frontline of helping those individuals whose hoarding problem has become a major area of concern in their lives. 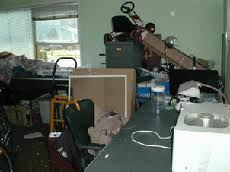 The NSGCD provide special training to those individuals who want to become a hoarding specialist and earn a certificate signifying they have gone through a rigorous set of exams and education courses to help people with the hoarding disease. Most of the hoarding specialists that go through this program are clinical therapists or psychologists. That’s because when a person takes hoarding to a dangerous level they are doing so because of a deep-seated psychological problem. Even if a house is cleared out there will still be the underlying emotional and mental issues that need to be dealt with otherwise the hoarder will just start hoarding all over again. Hoarders come in many forms. There are those who simply don’t throw anything away including garbage and food. There are other hoarders who like to collect live animals like cats, rats, rabbits or dogs. These are extremely sad cases because the animals themselves are often the victims of neglect just because there’s so many crowding into one space. There are other hoarders who fancy themselves as collectors and make it their life’s mission to gather up as many items as possible of their obsession. This could be dolls, purses, shoes or just compulsive shopping for anything. The one thing all of these hoarders have in common is a sense of denial. They can be surrounded by mountains of garbage and not even think it’s a problem for them. It usually takes an outside friend or family member to recognize the problem and bring in professional help. Along with the psychological help, these hoarders need help clearing out their junk. This is where a company like Junk King Alameda can prove to be an invaluable partner. The Junk King crews are experienced at removing all levels of junk and garbage from a home or construction site. Even the worst hoarders of Oakland will be no match for the professional crews from Junk King. Hopefully your own hoarding tendencies haven’t reached extreme levels. Let’s be honest; in some ways were all a bit of a hoarder. It’s very hard for many of us to get rid of all the things we bring into our lives. When it comes to big or bulky items it’s so much easier to stuff them in a closet or in a garage instead of finding a way to dispose of that. Once you cross that line it’s easy to add to those piles of junk until you completely run out of storage space. That doesn’t necessarily make you a hoarder but you are still holding onto things that ultimately should be thrown out. 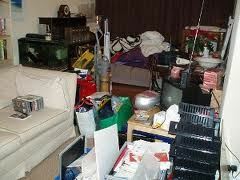 Hiring Junk King can help you accomplish clearing out the clutter of your home. Of course, watching the reality show featuring hoarders should be inspiration enough! This entry was posted in East Bay Junk Removal, Hoarding Help, Oakland Junk Hauling, oakland junk removal, Oakland Trash Hauling and tagged bay area hoarders, get rid of junk, hoarding prevention, junk hauling oakland, Junk King Alameda, Junk Removal Oakland, oakland hoarders on January 24, 2012 by Junk King. Last updated August 4, 2017 . There is a fun little Internet site called Yelp which is also a mobile phone app. The initial purpose behind Yelp was to give folks a chance to share their reviews of local restaurants. You could go to an eatery, enjoy a meal and then post your comments as if you were a critic at large. You can even snap a picture of your dinner and post that. As Yelp grew in popularity it began to expand its base of reviews. Now anything and everything can be reviewed on Yelp. This holiday season even residential displays of Christmas lights were given the Yelp treatment. This was a great way for folks to find out where the hotspots around Oakland where for seeing Christmas lights. One popular spot that received rave reviews on Yelp was Deacon Dave’s. Apparently this is an annual tradition of putting up Christmas lights which grows each year. This past season Deacon Dave put up 343,200 lights to the delight of every passerby. Then there is the Christmas Tree Lane which is a block of homes down Thompson Avenue that take their holiday decorating very seriously. It’s great when an entire neighborhood can coordinate their lights! Beyond the Yelp reviews there are many other online resources for Oakland residents to track down where the best Christmas lights were on display. It seems like at least one home in every neighborhood goes a little bit crazy for Christmas with the Christmas lights. There are some who even take decorating to the next level by coordinating their flashing lights with synchronized musical accompaniment. It’s all in good fun. While it’s great to watch these lights each year, you need to give pause for the effort it takes to not only put up these displays but also take them down. Think about Deacon Dave. He had to string over 300,000 lights and now he’s got a take them all down and pack them up again. Wouldn’t it be great if you can keep them up all year round? He probably wouldn’t have much complaints in that! Hopefully Deacon Dave will have some help when it comes to taking down those lights. As for taking down your own Christmas displays, perhaps you can entice your family to help take them down with another round of fresh baked cookies. 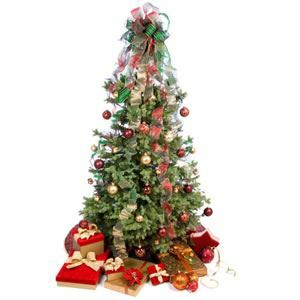 One thing is for sure is that after all the ornaments are packed up and the lights to come down you also need to make sure you’ll be getting rid of your Christmas tree properly. If you’ve got your own tree shredder then you’re good to go. However, most of us need to make special arrangements to get rid of our Christmas trees. That can happen by calling upon the services of professional junk haulers like Junk King Alameda who will be making the rounds in the next couple of weeks picking up Christmas trees from all over Oakland. The same top Oakland junk haulers can also pick up all your other trash and garbage that might have piled up over the holiday. And if you want to get rid of that old sofa or refrigerator with the same pickup for your Christmas tree go right ahead! This entry was posted in Alameda Hauling, Christmas Tree Disposal, Clear Clutter Oakland, East Bay Junk Removal, Oakland Furniture Pickup, Oakland Junk Hauling, oakland junk removal and tagged christmas lights oakland, christmas tree removal, deacon dave, get rid of christmas tree, oakland christmas tree diposal, Oakland Junk Hauling on December 30, 2011 by Junk King. Last updated August 4, 2017 . One of the most popular items to purchase at Christmas time our electronics. These aren’t just the gifts that you give to the special people in your life but it’s also the gifts that we give to ourselves! With prices dropping the closer you get to Christmas, it’s hard to resist the temptation of a new computer or a flat screen TV. The moment you buy yourself or someone special a new electronic device, whatever they had been using before that becomes electronic waste or e-waste. Quite often whenever we get a new monitor, computer or TV the old one is tucked back into a closet or stored down the basement. That’s because we instinctively know these items should not be thrown out with the regular garbage but at the same time we aren’t sure what to do with them. In the case of e-waste recycling or disposal, it’s best to leave it to the professionals to handle the delicate task. According to the US Environmental Protection Agency, e-waste is actually becoming the fastest-growing portion of our nation’s garbage. This is backed up by the fact that the Consumer Electronics Association did some research to find that there are at least 24 electronic gadgets in every household. 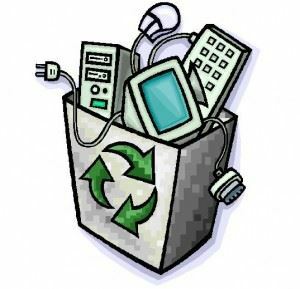 Going back to that idea of swapping out those gadgets results in around 2,000,000 tons of unwanted e-waste created every year. Unfortunately, less than 20% of that e-waste is ever recycled. That means the e-waste is going to end up in landfills and that’s going to cause a problem down the road when toxic materials such as lead, mercury or beryllium might leak out into the soil and groundwater. Certain communities are taking harsh steps to make sure that e-waste is recycled properly. For instance over in Illinois all e-waste is banned from landfills and anyone who’s caught throwing electronics out in the garbage could be fine hundred dollars. This also applies to manufacturers who have to get rid of their e-waste. In Oakland, there a professional team of junk haulers who specializes in the proper disposal of e-waste is Junk King. There are certain facilities located around town that can handle this type of junk. Instead of just being crushed, the individual components generated from e-waste have to be stripped apart and separated. Then those separate elements can be processed together and repurposed. If you’re someone who has been using computers for years that’s a pretty safe bet you may have a couple of abandoned desktops and monitors sitting around waiting to get recycled. 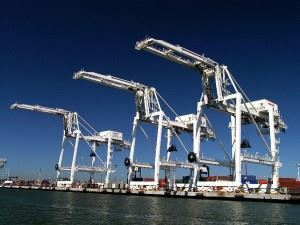 One call to the best Oakland Hauling team and you will have accomplished that task. But you don’t have to limit yourself to e-waste for this pickup. At the same time the junk haulers are taking away your old monitors or TV they can also be taking away your unused furniture, kitchen appliances and even yard debris. The bottom line is that you can start to fill up a truck with your old electronic gadgets and end up getting rid of all your clutter! This entry was posted in Clear Clutter Oakland, e-waste recycling, Oakland Junk Hauling, oakland junk removal and tagged ewaste recycling, get rid of junk east bay, oakland computer recycling, Oakland hauling on December 23, 2011 by Junk King. Last updated August 4, 2017 . As any artist will tell you, “art isn’t easy.” Creating art is especially challenging if you don’t even have the proper space to create in. Perhaps it’s time to convert a spare room or garage into your own private art studio. Of course, you don’t have to be a professional artist to have an art studio. You could convert that spare room into a kind of arts and crafts room that allows you to explore your creative side through some of the many craft or gift making type of projects you enjoy. Even if you just had a hobby that you like to explore wouldn’t it be great to have a room in your home dedicated just to that? To accomplish this goal it might mean making clearing out the junk you’re keeping in storage in your spare room. That’s easy to handle especially when you can call upon professional Oakland Junk Haulers like Junk King to do the deed. The bigger question will be what your arts and craft room is going to look like? How you design this arts and craft or hobby room will depend on exactly what you want to accomplish. There are some model train enthusiasts who convert a spare room into their own miniature world which is constantly changed and updated. Someone who likes to work with pottery can set up a spinning wheel and even find a small kiln to fire up their creations with. Naturally, there’s nothing wrong with turning his room into a kind of tinkering space. All you really need for that is a workbench and some tools which will allow any DIY builder the space to take apart and put back together all kinds of gadgets. You might even have the opportunity to surprise someone you’re living with by converting a spare room into an arts and crafts studio as a present for them. This could certainly be a welcomed holiday gift. You’re essentially giving someone a space all to their own that is quiet and allows them to focus on their hobby. It really wouldn’t take much effort to get this together. You can hire Junk King to show up on a specific day to “sneak” into the house and take away all the junk that’s crammed into that spare room. Once the clutter is cleared out you can get to work setting up that space to make a perfect hobby room for your loved one. All you really need to do is make sure they stay out of the room until you’re ready for the unveiling! If you embrace the concept of hiring pro Oakland Haulers to clear out one room then you could use that same appointment to get rid of a lot of other junk that might be taking up space in closets, basements, attics and garages. In fact, you don’t need a second bedroom to convert into a hobby space if you have a garage or basement or attic that can accommodate that same purpose. It all comes down to a question of junk: are you ready to get rid of your junk? This entry was posted in Junk King Alameda, Oakland Furniture Pickup, Oakland Junk Hauling, oakland junk removal and tagged arts and crafts room, Oakland hauling, oakland junk haulers, oakland junk hauling service on November 30, 2011 by Junk King. Last updated August 4, 2017 . 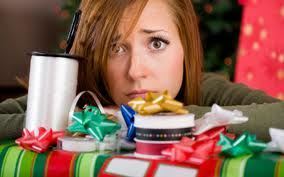 There is a lot we need to do to get ready for the holidays but if you work in office one thing that will be on the schedule could be the annual Christmas party. An office Christmas party is a tradition that has been around as long as there have been offices. Just as long as there have been these Christmas parties there have also been legendary stories of coworkers enjoying too much eggnog which leads to some embarrassing situations that go down in the annals of office history. If this is the first Christmas party you’ll be going to at your Oakland office there are some things to keep in mind to make sure you do not become the stuff of office legend. First and foremost, you need to embrace the simple fact that you have to make an appearance at your office Christmas party. Whatever you think of your bosses, the mere fact that a party is being thrown for the office means they are putting forth a little effort. You should respond in kind by graciously making an appearance. Think of it as an extension of office business. Because of that, you need to dress appropriately. This might not be a factor if the party is being thrown right after work hours. However, if a special venue has been set up for Saturday night that doesn’t give you license to dress like you would going to a club. You still want to appear as professional as possible. This could mean just avoiding outfits that are too short, too tight, or too transparent. A holiday office party is supposed to be a festive party. This means leaving your sour work attitude at the door. In fact, this could also be a perfect opportunity for you to bury the hatchet with any coworker who you might have had an issue with throughout the year. Once at the party you will be encouraged to have a good time and for some people that means having a few drinks. This is usually where all the trouble starts! A cocktail at two shouldn’t set off any alarms. However, if you find yourself wavering and drinking more than you should it might be time to call a cab and get out of their before something goes awry. If your office Christmas party is actually being thrown in the office than there is going to be a bit of a cleanup that’s likely to happen afterwards. What might not be so obvious is the cleanup that should occur before the office Christmas party. This will mean getting rid of all the junk that has been taking up valuable space in the Oakland office that you work in. You or your manager can easily accomplish this by bringing in some outside help in the form of professional junk haulers like Junk King Oakland. This pro hauling crews is well versed with carting off large and bulky items. They’ll also have a big enough truck to facilitate the removal of your office junk in just one trip. Even if it’s not your job responsibility, you could score some major points by suggesting a professional cleanup crew. What a perfect way to end the year! This entry was posted in Clear Clutter Oakland, Oakland Furniture Pickup, oakland junk removal, office junk removal and tagged oakland holiday party, Oakland Junk Hauling, oakland junk removal, oakland office cleanout on November 23, 2011 by Junk King. Last updated August 4, 2017 . There is one way to make sure your teenage kids stay safe this Halloween: Let them throw a party in your Oakland home. Before you freak out at the prospect, this can actually be a great learning and bonding experience. Plus, if all goes according to plan it should be a lot of fun. First, you’ll want to lay down some ground rules. Determine who is going to be responsible for what and put it in writing. This way there shouldn’t be any confusion as the party approaches. The first phase of your teen’s Halloween party should be the planning. How many friends do they want to invite. Whatever number they tell you, factor in at least 10 to 15 more as word spreads. You also have to set out the times for the party. This should go on the invitations and will be important facts for other parents to know. Then there is the budget to consider. While you’ll probably be funding this gathering that doesn’t mean your teen should begin spending away. Set a budget and make sure they work within that budget. One way to make this party unique is to set a theme. Yes, it’s Halloween but that doesn’t mean it can’t be specific. For instance, you could have an all zombie party or an all superhero party. By providing a theme, it helps the guests figure out what to wear. And for those party poopers who show up without a costume, have a few selections on hand for them to slip into. That will teach them! Don’t forget, if you are chaperoning then you should also get into the spirit with your own costume. Just try not to embarrass your teen with your choice (good luck with that!). For food choices, you can keep it simple with the classic teen fare of hot dogs or pizzas. 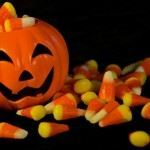 Of course, there should also be plenty of Halloween candy on hand to satisfy any trick or treat flashbacks. Depending on the size of your home, you might want to secure areas of your home from wandering teens. This can be easily accomplished and stay within the theme by draping spider webs across any door you don’t want crossed. One quick glance will show you right away if the webs were disturbed. Another important aspect of the party planning is to make sure your teen is going to be on hand for the cleanup both before and after. You can aid in this task by having a professional Oakland junk hauling team like Junk King Alameda on call to clear out the clutter. This might also be the perfect time to finally clean up that disaster area known as your teen’s bedroom. Knowing that a junk hauler is going to be pulling up with a truck is a perfect motivator. If this clean up is part of the ground rules you put in writing then there should be no griping! This entry was posted in Clear Clutter Oakland, Junk King Alameda, Oakland Furniture Pickup, oakland junk removal, Oakland Recycling and tagged Clear Clutter Oakland, Get Rid of Clutter, Oakland Junk Hauling, oakland junk removal on October 31, 2011 by Junk King. Last updated August 4, 2017 . You can really tell a town’s priorities by the type of festivals it holds. For some places, music tops the list of things to do on a warm weekend as jazz or bluegrass festivals pop up. Other communities like to show off their creative types by offering up art fairs. Here in Alameda, some local organizers know just what pleases the residents: Food trucks. That’s why they are holding another in a series of food truck festivals at the Alameda Fairgrounds. During this foodie fest, over 20 varieties of mobile chefs will be offering up their culinary treats to the masses. With all the trucks to choose from, how can you pick just one? In order to put together an even like the Gourmet Food Truck Festival organizers have to take into account certain logistical details. The big three priorities are parking, bathrooms and trash removal. Of those three it’s probably the trash removal that is the easiest. All they need to do is rent a bunch of dumpsters from some reliable companies and make sure they will be dropped off and picked up on schedule. Of course if you have a big trash removal job of your own you can also rent a dumpster but there is a better alternative. That would be hiring a professional crew of junk haulers like Junk King Alameda to show up and take your trash away in one trip. It seems logical that if you have know in advance that you have a lot of garbage to get rid of to want to throw it out into a rented dumpster. What you have to consider is exactly where will you put that dumpster? If you have a driveway then you might be able to slip it in there but that will mean you’ll be parking on the street for the duration of the clean up. Having a dumpster placed on the street makes sense but there might be some Alameda city ordinances that require you to get a special permit for parking a dumpster on the street even if it is just for one day. Suddenly, what seemed like a simple idea is now getting very complicated. Now consider that alternative suggestion of hiring professional junk haulers. You know just what you want taken away. It might be all the refuse from a major house cleaning or some construction waste from a remodeling job. Whatever that pile of junk becomes, the experience crew of junk haulers can show up at the appointed hour, load the trash into their truck and drive it away. You’ll barely remember you had it in the first place. The other benefit of avoiding a dumpster is that you’re removing a potential target from trash pickers. A fully loaded dumpster might prove to be too tempting to the bottle collectors in your neighborhood. Do you really want them rummaging around in your trash? Cut to the chase and hire the pros, Junk King Alameda: They won’t let you down. This entry was posted in alameda dumpster rental, Alameda Hauling, East Bay Hauling, East Bay Junk Removal, Junk King Alameda, Large Trash Pickup, oakland junk removal and tagged alameda dumpster rental, Alameda Junk Removal, Alameda Trash Removal, East Bay Junk Removal, oakland junk removal on October 24, 2011 by Junk King. Last updated August 4, 2017 .